A First-Time Color Service is a color process for clients who have never before received color services and is typically applied from root to ends. 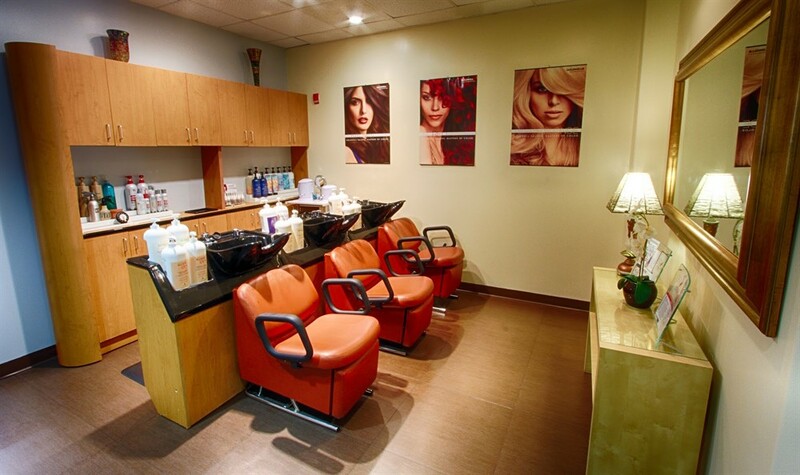 A Regrowth Retouch service is the application of color to your regrowth since your last color service. Following a Color Retouch service, a Color Balance service makes the color even from root to end without damaging the ends. It is also a cuticle sealer that conditions and tones at the same time adding lots of shine to the hair. Goldwell Colorance is a non-committal color enhancement, adding shine and smoothness to the hair. 10 individual foils placed to provide a sun-kissed look. For natural gray blending, or a change of the shade. Goldwell Elumen is a high-performance, oxidant-free hair color. Creates extra vibrant, shiny, and durable hair color without damage.